The Danish capital region’s investment expert explains why the city is ideal for Indian global expansion plans. Is it possible that one of the most liveable regions in the world, can also be one of the most investible? Can a region dedicated to sustainable development, also be a region that is one of the most favoured places in the world for foreign direct investment (FDI)? Yes. With its booming economy, highly skilled workforce, and hi-tech infrastructure, Greater Copenhagen is a preferred destination for international companies that want to expand their business. So, whether you are looking for the best metropolis to launch your next tech start-up, or the ideal city-hub to grow your business, you should take a closer look at Greater Copenhagen. How well do you know Greater Copenhagen? Greater Copenhagen is a metropolitan region that spans from Eastern Denmark to Southern Sweden with Copenhagen as its beating heart. The 79 municipalities in Greater Copenhagen are home to 4 million people and Scandinavia’s largest recruitment base of highly-skilled employees. The region offers world class research facilities and a creative business environment with access to the markets of two countries. In Greater Copenhagen, you will experience a different way of life founded on creativity, equality, and trust – and a place where green is not just a colour, but a mind-set. While Southern Sweden (Skåne) works to become 100 per cent independent of fossil fuels by 2030, Copenhagen has a goal of becoming the first CO2-neutral capital by 2025. These political visions signals to businesses all over the world that Greater Copenhagen is committed to build and invest in a sustainable metropolis. Consequently, Copenhagen has become the perfect playground for companies that wish to be at the forefront of green technologies: From green transportation and waste management to sustainable buildings and renewable energy. Denmark and Sweden have, therefore, also been ranked, by the Global Cleantech Innovation Index 2017, as the countries in the world where companies have the greatest potential to commercialise their cleantech innovation. Besides being a leading green city, Greater Copenhagen has also taken major steps to drive the entire population to become more tech-savvy. Consequently, Denmark is ranked, by EU’s Digital Economy and Society Index 2018, as the most digital country in Europe. Denmark is also, according to Open Data Watch, the world leader in data openness & transparency. Only 5 per cent of Danish businesses are, however, utilising Machine Learning and Deep Learning. And that is why we are inviting foreign companies to co-create artificial intelligence (AI) solutions with us, especially as we have Europe’s highest researcher concentration. Last, Greater Copenhagen offers foreign investors access to Denmark’s unique databases and registries that can be used freely for research, testing and development. Medicon Valley, the Danish-Swedish life science cluster in Greater Copenhagen, covers 12 universities, 32 hospitals and more than 300 biotech firms. Medicon Valley is known as the core of Scandinavian life sciences and ranks number one in Europe for drug pipeline, clinical trials and investment in R&D per capita in biotech and pharma. And from pharma giants such as Novo Nordisk, LEO Pharma, and Lundbeck to burgeoning innovative SMEs, many companies are increasingly finding success in capitalising what Greater Copenhagen has to offer. Denmark is, according to the esteemed publication ‘Scientific American’, the number one country in Europe when it comes to developing biotechnology. And in terms of clinical trials, Denmark hosts more per capita than any country in the world. That’s largely down to the fact that the Danish life science industry employs over 40,000 people and offers some of the most advanced academic research centres in the world. The meditech industry in Greater Copenhagen alone has a turnover of € 6.7 billion. And with multi-billion Euros of healthcare investment earmarked by the Danish government, Greater Copenhagen is well poised for future prosperity and for attracting growth. The label ‘Made in Denmark’ is synonymous with top quality, safety, and hygiene. And producers of food additives, therefore, export a whopping 95 per cent of their products; while producers of robots and processing equipment export 80 per cent of their goods. The Danes are, additionally, world leaders in the production of additives such as enzymes, probiotics, natural sweeteners and food colouring; Denmark, thus, supply 14% of all bio ingredients to the global food industry. The food clusters in Greater Copenhagen can provide foreign direct investors with incredible business opportunities. Denmark’s digital technologies, its access to highly focussed universities, and its skilled labour pool make it the number one place for investors in food products, additives, and technology. From the City of Copenhagen, you can reach 35 per cent of the Scandinavian population and 55 per cent of all Scandinavian companies within a three-hour drive. Greater Copenhagen is, thus, the perfect bridge between the 100 million people living in Scandinavia. By the number of connections, passengers, and cargo traffic, Copenhagen is, additionally, home to Scandinavia’s largest airport and seaports. And 11 times within the last 13 years, Copenhagen Airport was ranked, by the Air Transport Research Society, as the most efficient airport in Europe. No brown envelopes required here. Denmark is ranked, by the Transparency International’s Corruption Perceptions Index, as one of the top three least corrupt countries in the world. This is due to an open and well-functioning public sector and a culture of no bribery. Copenhagen is, additionally, renowned for its low levels of bureaucracy and red tape. The Danes and Swedes provide a well-educated, fluent English-speaking, highly skilled and diligent workforce. In Greater Copenhagen there is a standard 37-hour week, and the typical non-hierarchical work structures help the Danes feel a high degree of empowerment at work. This leads to a highly motivated, responsible and reliable workforce. You and your family are, therefore, able to achieve an enjoyable work-life balance in Greater Copenhagen. And that’s precisely why the Earth Institute’s World Happiness Report has rated Denmark as the happiest nation on Earth on more than a few occasions. 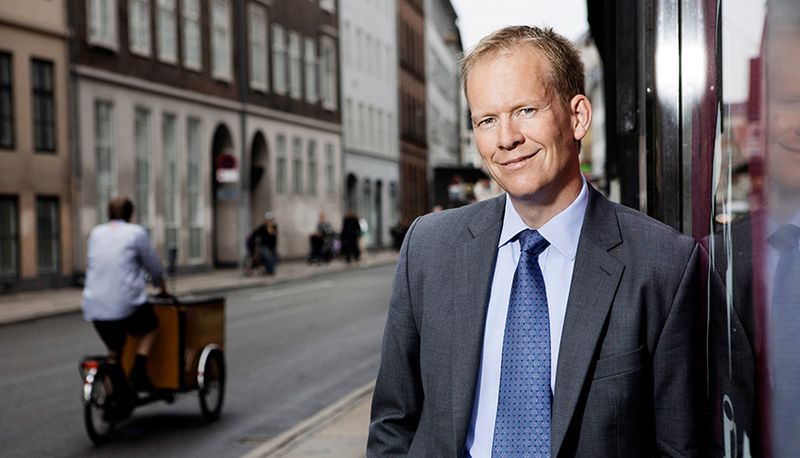 Claus Lönborg is the Managing Director for Copenhagen Capacity, Greater Copenhagen’s official organisation for investment, promotion and business development. Copenhagen Capacity is the official Danish FDI agency that can help you with anything you need know to invest in Greater Copenhagen: From advice on legal matters to contact with local providers and public authorities. At Copenhagen Capacity, the services are provided in full confidentiality, and they are free of charge for all companies that wish to invest or expand their business in Greater Copenhagen.